Brent Harris was born in New Zealand and has lived in Australia since 1981. 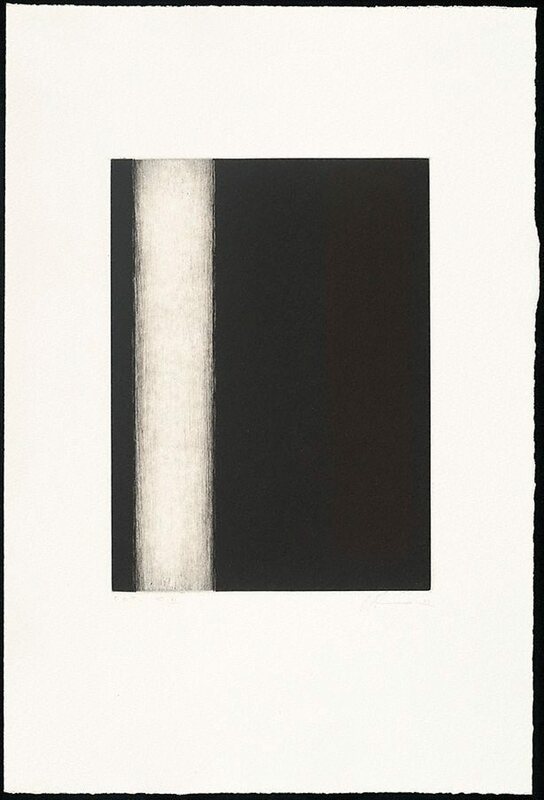 A painter and printmaker, he has developed a distinctive personal visual language concerned with abstraction, and has been influenced by Colin McCahon and Barnett Newman among others. Painting and printmaking are interconnected in Harris' work. He made his first prints in the late 1980s with master printer John Loane (Viridian Press). 'The stations' were exhibited in 2004 at the Art Gallery of New South Wales. They were part of an installation of works using Christian themes and iconographies, which '… emerged out of the conviction that Western religious art has etched into our psyches an incomparably powerful iconography for dealing with the central issues of human life.' (Steven Miller, 'The Face, Brent Harris,' Art Gallery of New South Wales, 2004). Signed and dated l.r., pencil "B H 89".